Nikki earned a Bachelors of Science Degree in Family & Consumer Science/Human Science from North Carolina Central University in 1998. She has over 16 years of professional and personal experience working with children and their families. From 2006 to 2009, she was an Early Intervention Service Coordinator with the Children’s Developmental Services Agency in Durham County. Nikki also has background in Nutrition and is able to provide support for goals that may be related to feeding skills/habits. 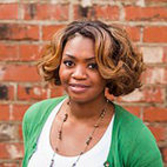 She is also an active member of the National Association for the Education of Young Children (NAEYC) and the North Carolina Early Childhood Association (NCECA). Nikki is a native of Durham, North Carolina. She is the mother of three, one child being a preemie born at 31 weeks gestation. Nikki is an advocate for early intervention, family empowerment and assisting children and their families reach their full potential.